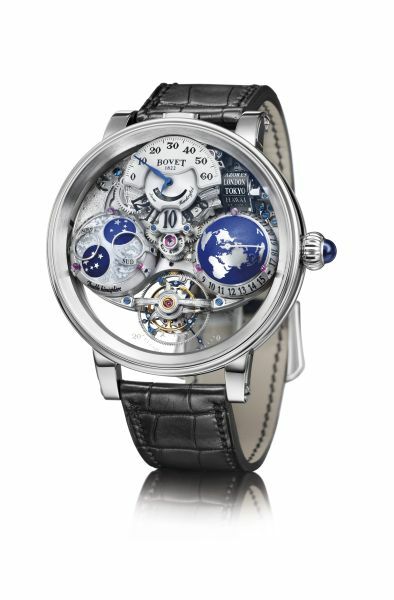 They are so unique, and infused with a sense of beauty, innovation and wonder, that most Bovet watches can be identified with the manufacture with ease. And even fewer can be worn and enjoyed in so many different ways. There are ladies’ watches that enable easy swapping of straps to suit one’s mood. 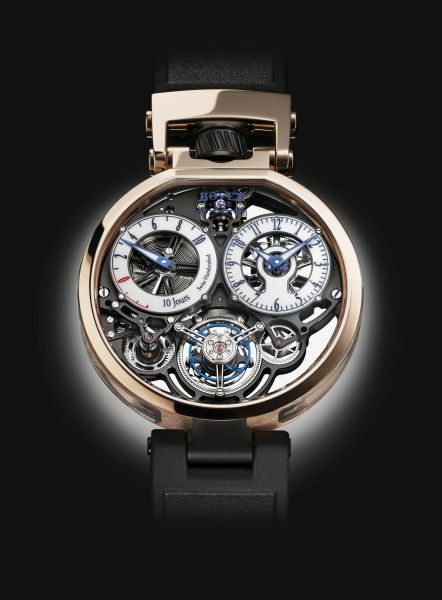 But Bovet’s watches in the company’s Amadeo case that was introduced in 2010 goes quite some steps further. 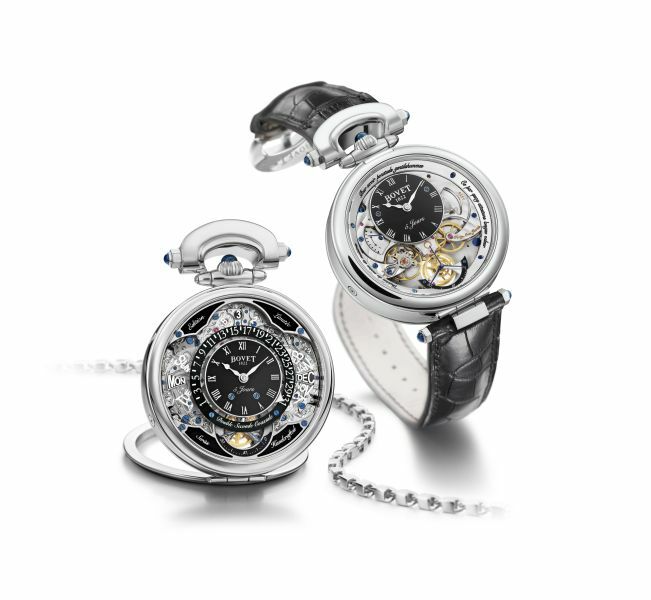 The Lady Bovet Flower of Life is able to transit between wristwatch, pocket watch, pendant watch and desk clock without the use of a tool. 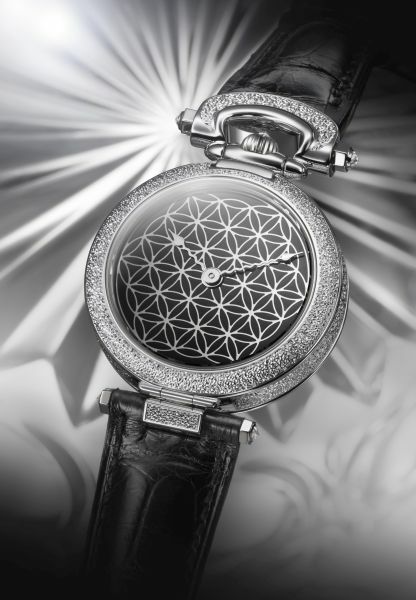 It’s also reversible because the Virtuoso II movement displays time on both sides: on one, a more technical face shows off the movement components with the balance wheel and central wheel, with power reserve indicator; on the reverse, the “Flower of Life” motif engraved in mother-of-pearl, or in the unique piece, rendered in black grand feu enamel. Manual wind movement with 7 days’ power reserve; 39mm red or white gold case with diamonds. Designed by Pininfarina, the Ottantasei is about lightness and light. 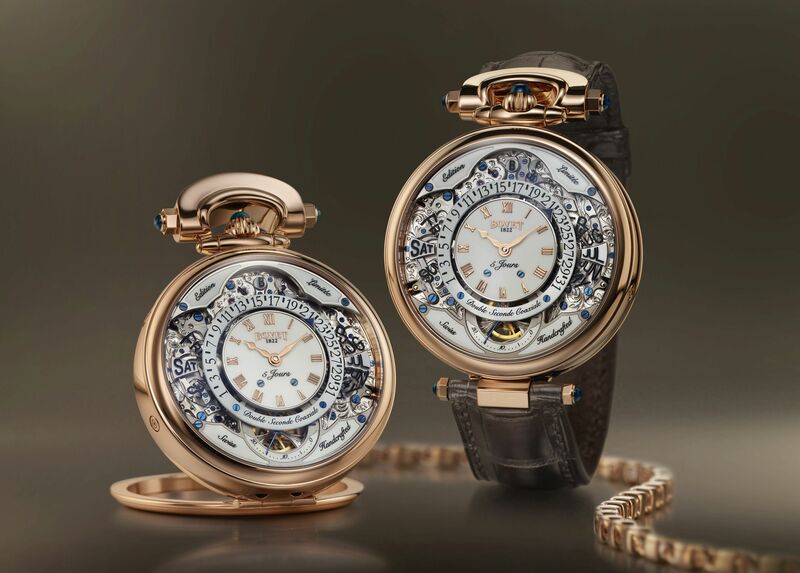 To that end, its case is composed of four large sapphire crystals – front, back, and two long, curved pieces at the sides – with metal elements either in titanium or gold, offering stunning views of the movement from all sides. Its manual wind movement features an exclusive winding system that boasts twice the winding efficiency, for the watch’s 10-day power reserve; and a double face tourbillon. 44mm case, in limited edition of 86 pieces each with titanium or gold. It takes a while to get one’s bearings in reading the dial because it is so unusual. But Just a while. The Vern-esque hemispherical layout for the moon phase (global) and second time zone with rotating city indicator is intuitive and efficient, as is the time telling with jumping hours and retrograde minutes. Also with tourbillon, and power reserve indicator. 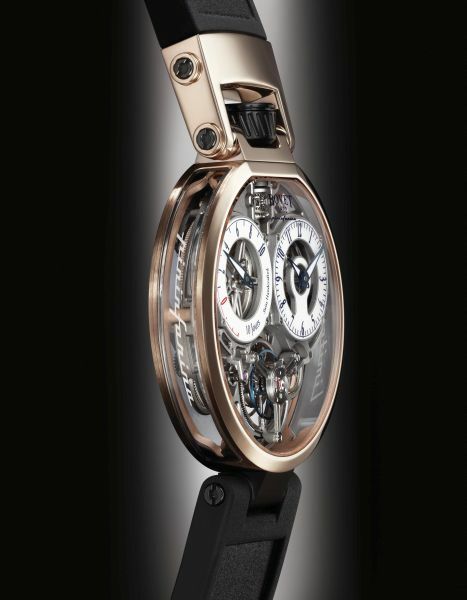 Hand wound tourbillon movement with five days’ power reserve, selectable time zone. In 46mm red or white gold case. Complicated, like all perpetual calendars, but alone in its own class for the number of ways it can be worn or used: as pocket watch, wristwatch and desk clock, and it’s reversible to boot. Hand wound movement with five days’ power reserve, in 43.3mm white or red gold case.